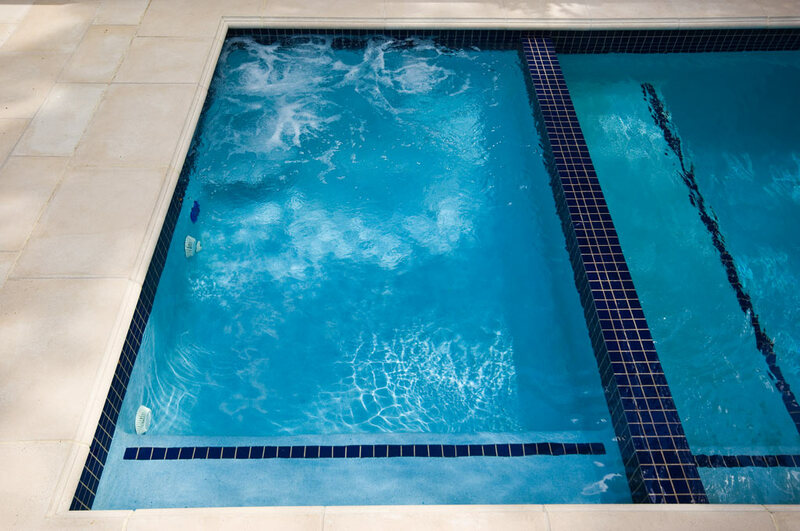 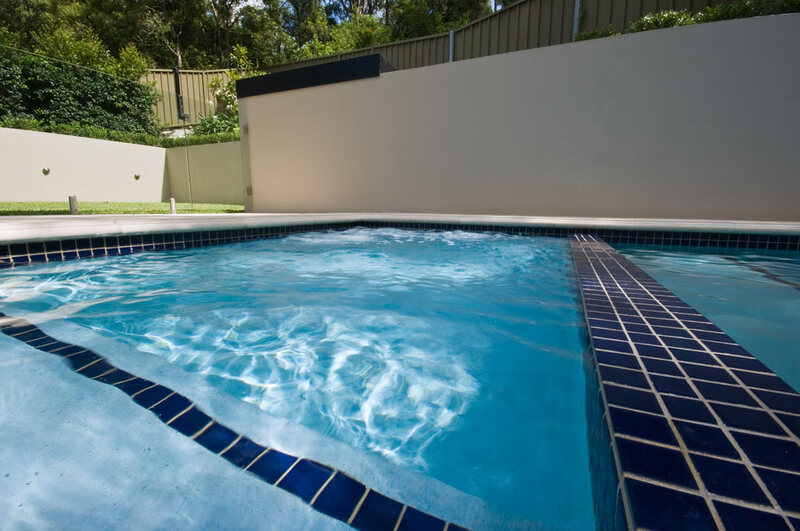 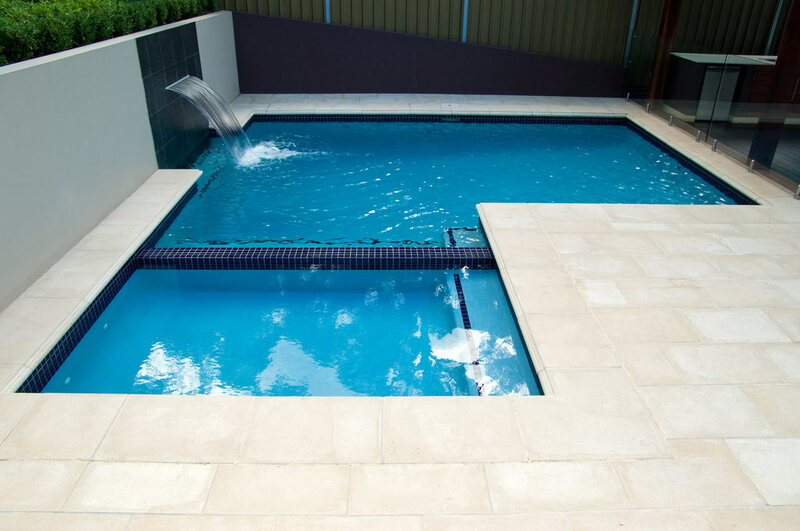 The geometric design of this saltwater plunge pool works well for the kids whilst providing a dry space to lounge while supervising swimmers. 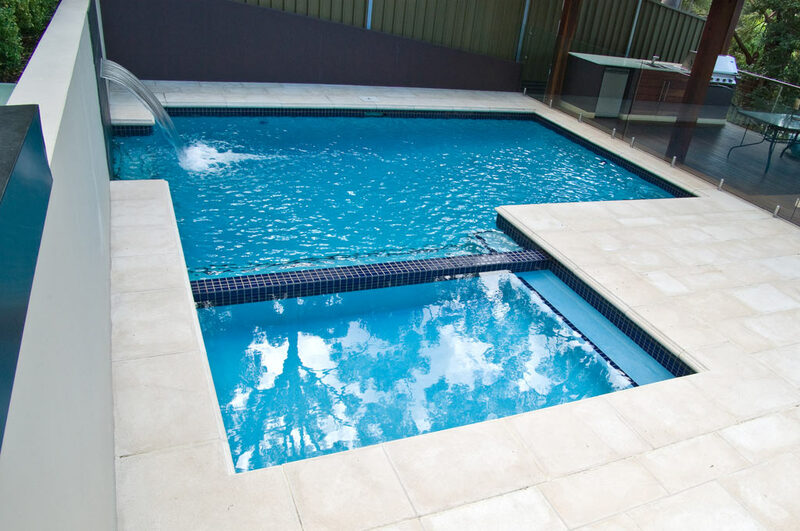 The swimming pool is finished in “Bay Pearl Q-Pebble” with a 300mm wide band of ceramic waterline tiles and features sandstone coloured concrete pavers. 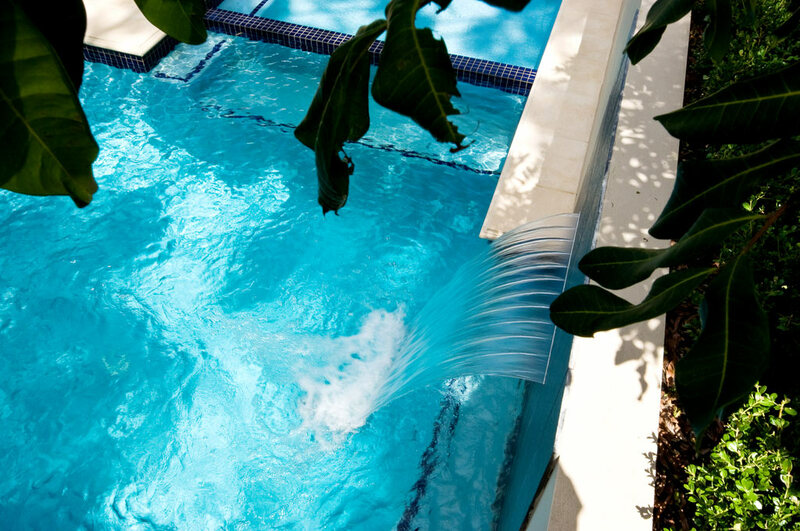 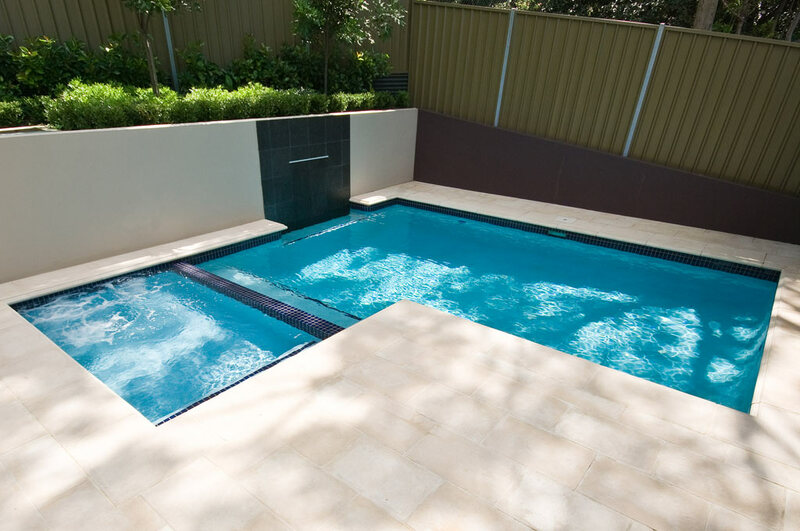 This L-shaped plunge pool includes a water feature, spa and a large cooling off ledge at the shallow end. 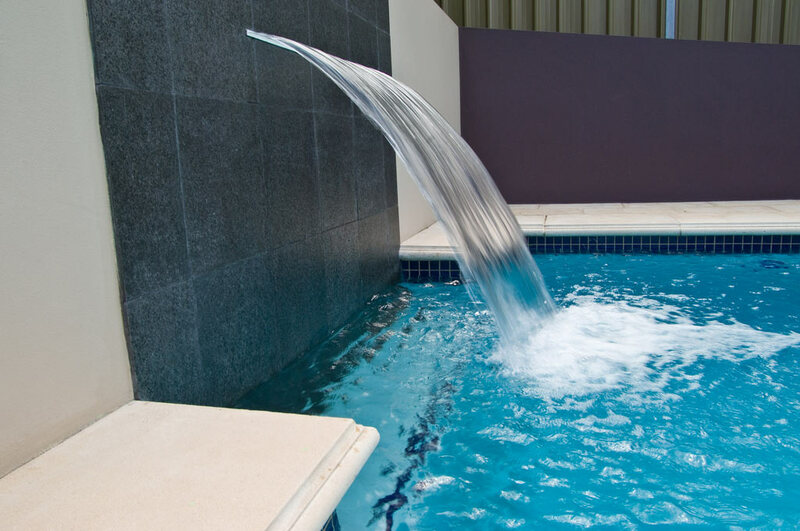 The deep end of this plunge pool features an alcove with a 900mm wide sheer drop water fall feature.